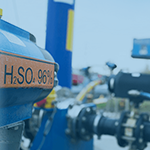 We have been trading in inorganic chemicals such as hydrochloric acid, sulphuric acid, sodium hydroxide and a variety of solid and specialist products for over 190 years. Our partnerships with our suppliers that have lasted for several decades guarantee the optimum product quality and ensure a fair price/performance ratio. 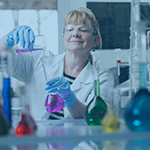 With over 3,000 chemical products, Chemie Wocklum offers a wide-ranging portfolio for all sectors. 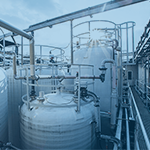 Chemie Wocklum stores products of the highest quality at its 3,000 m³ storage facility for liquid chemicals and at its 1,500 tonne storage facility for solid materials. 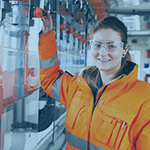 We are also one of the few businesses in the whole of North Rhine Westphalia to have an incident service facility, which has a capacity of 200 tonnes. For a detailed consultation, four expert teams are available to assist you at all times. 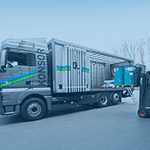 FUROFLOCK – FUROSEP – FUROBENT – these names stand for a series of products which combines the environment, ecology and expertise and enables efficient waste water treatment. Companies from the area of surface technology benefit especially from our products, which have proven their worth over the course of many years. Ensuring the optimum benefits for customers and the environment comes first with the FUROFLOCK – FUROSEP – FUROBENT products. Their constant further development and individual adaptation means they are optimised on a continuous basis. 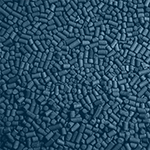 Innovative filter materials and activated carbon from Chemie Wocklum supplement our effective range of products for treating waste water. The MARUCLEAN range of products stands for efficient cleaning. 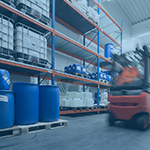 Whether it is for industrial use or home use, for manual cleaning, for automatic systems, in spray and mop processes, at petrol stations, at workshops or at cleaning companies, Chemie Wocklum offers a suitable product for every area of use. MARUCLEAN is a proprietary development from Chemie Wocklum and is based on our long standing experience in the area of chemical cleaning products. Depending on the customer’s requirements we can also supply large quantities and manufacture to order for different sized containers. 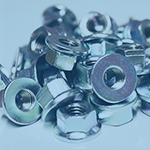 GALVOTEC offers optimum solutions for the electroplating coating industry. 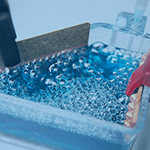 Chemie Wocklum has developed specialist chemicals for almost all electroplating processes and combined them in the GALVOTEC range of products. All of the GALVOTEC products are produced and filled at the Balve location. Modern production facilities, experienced employees and high quality raw materials ensure the maximum levels of process control and quality. 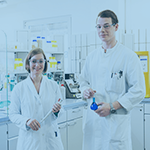 Chemie Wocklum uses proven methods of analysis and the latest laboratory technology in this field. Variations in quality are therefore as good as impossible and we can always guarantee our customers products which are flawless and of the highest quality. 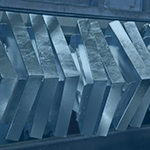 For specialist high quality products for the surface treatment of metals, look no further than FUROCHEM. This range of products was developed specifically for the pre-treatment of a variety of different materials. 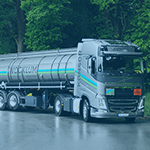 Chemie Wocklum supplies high performance degreasing agents for every requisite purpose, regardless of whether it is solid or liquid, acid or alkaline, hot or cold. 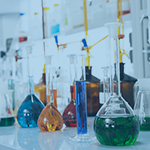 As one of the leading manufacturers in the field of phosphate conversion coating, we also offer the ideal phosphate conversion coating agents from iron, zinc, zinc-calcium and manganese. 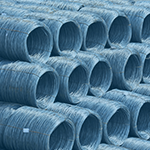 The drawing soaps and drawing agents from FORUCHEM have proven to be the method of choice for use in forming processes, such as the wire industry and with drop forging. Activated carbon from Chemie Wocklum is used in the treatment of air and gas and in the treatment of liquids. Unwanted colourings, flavourings or odours can be removed effectively, cheaply and on an environmentally friendly basis. 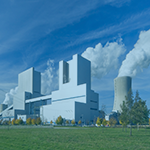 Activated carbon from Chemie Wocklum is also used in air conditioning and climate control systems, the treatment of water and waste water, and the filtration or bleaching of liquid products and electrolytes. 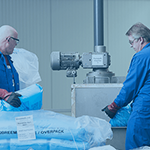 Depending on the area of use, we supply activated carbon in powder form, in granules, in compressed form, as dust-free activated carbon in soluble sachets for large scale customers, in smaller quantities for commercial kitchens, households, aquariums and for treating functional textiles. AKUPLUS is “the” branded battery acid product from Chemie Wocklum. 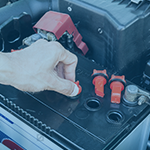 We can supply you with battery acid in original equipment quality. 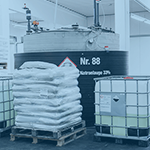 With our accurate calibration, fully automatic filling system, we fill AKUPLUS battery acids in different concentrations and with different fill volumes. Depending on your requirements, in addition to the standard programme which consists of six 800 ml containers or 1,000 ml per carton and a density of 1.28 = 38%, individual quantities and concentrations are also available. 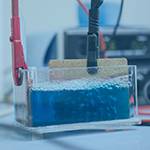 This means that the fill volume per container can also be adapted to the quantity per battery cell. This means that no residual quantities occur. Optimum pouring sets ensure the maximum safety levels when filling the battery. The containers are also equipped with child safe seals, and with the corresponding labels, they naturally comply with the legal regulations.